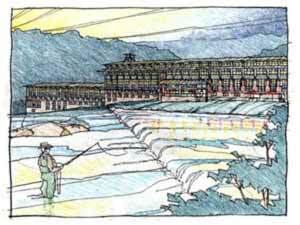 August - It's time to fish the Flint! And it's easy to stay cool! Get our newsletter to stay on top of the fishing (SIGN UP NOW!). 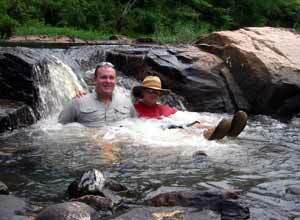 Our two-day Fly Fishing School, in conjunction with Unicoi Outfitters, is entering its 5th year. An intensive 2-day course designed for novice and intermediate anglers, the school combines classroom instruction, casting practice and actual fishing time. This is the best place for you to learn how to enjoy the sport. If you have never held a fly rod, we'll take you through the basics. If you have some experience, we'll help you take your skills to the next level. 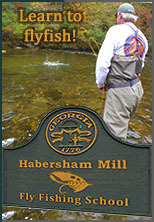 Visit The Fly Fishing School at Habersham Mill for more information on this outstanding new learning opportunity!